A boy who loves adventure. Discover what surprises await in this beautiful dreamlike exploration of courage and loneliness, independence and friendship. 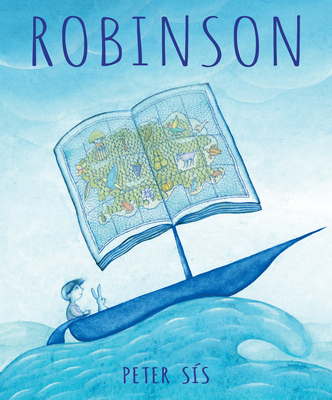 Lush, transporting paintings float from reality to fantasy and back again as Peter Sís blends a true story from his childhood with the fictional adventure of Robinson Crusoe to create a moving, magical picture book that readers will want to return to again and again.